In the ethical monotheism of late Judaism and early Christianity, Yahweh (originally a minor warrior deity of a small federation of habiru tribes in the region of Sinai who eventually became the creator of heaven and earth) was regarded as the supreme judge over the destiny of human beings. He demanded exclusive worship and absolute obedience from his devotees, in exchange for which he provided them with protection and a prosperous life. The “fear of the Lord” – not living in abject terror of god but with reverent awareness of his watchful supervision – was thus an acknowledgment of the human being’s accountability as a moral agent before the One whose will is the Way of all things. This fusion of human moral accountability and the omnipotent will of god would create numerous crises for believers over the centuries. From the Babylonian invasion and exile of 586 BCE, through the calamitous failure of Jesus’ revolution, to the twentieth-century holocaust (or Shoah) in which millions of Jews and other faithful were killed, the contradiction in believing that a benevolent deity is in control as innocent human beings suffer has driven many once-devoted theists to abandon their belief in god. For as long as theism regarded deities as personified agencies of cosmic and natural forces, human suffering could be chalked up to fate – “That’s just the way it is.” But after the Bible’s ethical monotheism elevated the will of god above everything else, a crisis was just a matter of time. Try as we might to uphold divine sovereignty by making human beings somehow deserving of their suffering (e.g., an individual’s unconfessed sin, inherited guilt from previous generations, or the total depravity of human nature); or on the other side, by appealing to god’s inscrutable plan, the soul-therapy of pain and loss, or adjusting the mixer board of orthodoxy so that god’s righteousness is bumped above his compassion – all of this compromise to our ethical and rational sensibilities has put belief in god’s existence out of the question for many. Does this leave us with atheism then? It sounds like we need to drop all this nonsense and move on. Haven’t we disproved god’s existence by now, tolerated the logical and moral contradictions, or at least gone long enough without evidence to support the claim? If theism has ruined its credit in our modern minds, isn’t atheism all that’s left? A good part of this blog is dedicated to clarifying a different conclusion. Just because many of us are no longer able – more importantly we aren’t willing – to sacrifice intellect for faith doesn’t necessarily mean that theism has to be trashed, or that it’s been fatally exposed as a farce. It could also mean that theism has done its job. For a time when we were young (so runs my argument) we depended on higher powers to help us feel secure, supervise our development, and exemplify the character virtues that promote cooperation and goodwill. Every family system is a kind of theism where taller powers provide for underlings in these and other ways, and they in turn try to be obedient and respectful of parental authority. The fear of the Lord was continually in our awareness of being accountable for our words, choices, and behavior. Doing good came back in praise and reward; doing bad called down blame and punishment. If our taller powers were involved and diligent, we eventually came to understand that ‘the world’ (our household) was an interdependent system where our actions had consequences – not just for us alone but for the system as a whole. In ancient and traditional societies this world model of a household was projected outward onto a larger – in the case of Judaism’s ethical monotheism, a cosmic – scale, where a patron deity (like Yahweh) was imagined as watching over his children, demanding their obedience, and providing for their needs. Such a model of reality gave assurance that the tribe and its individual members weren’t orphans adrift in an indifferent or hostile universe. Their god personified a provident intention in the greater cosmos, but s/he also reminded them that human beings are part of something larger and owe their contribution to the whole. No action went unnoticed by god; later, Jesus would insist that not even our thoughts and desires are hidden from “the father who sees in secret.” Humans are one big sibling society under the will of the fatherly Yahweh, and each of us is accountable to him. The fear of the Lord is the beginning of wisdom. We realize now as never before that our representations of ultimate reality are metaphorical constructions that not only assist our contemplation of what is beyond name and form but also serve to link the business of daily life to a transcendent center of value and meaning. Yahweh is a mythic character, a literary figure, a theological construct who personified the provident mystery of reality as superintendent over nature and all nations. While it is the case that Bible stories tell of Yahweh’s great accomplishment “in the beginning,” his intervention on behalf of Hebrew slaves, his guidance and support of refugees through the wilderness, his revelation of laws by which to govern the community, his ventriloquism through the prophets, his incarnation in Jesus, the fertilization of a new community by his spirit, his orchestration of the missionary church, and the preparation currently underway for the apocalyptic final curtain – we commonly overlook the fact that all of this takes place inside the imaginarium of myth. 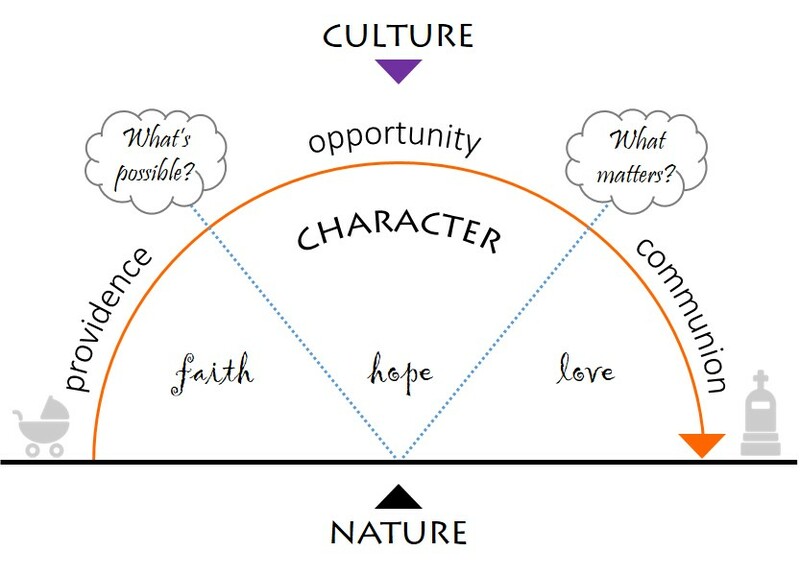 Because biblical (or more accurately, mythological) literalists are considering these stories from a standpoint outside this imaginarium – which names a mode of consciousness that is shaped and fully immersed in its own narrative constructions of meaning – the veracity of Yahweh’s character for them must be a function of his separate existence, apart from the stories themselves. In other words, these are not mere stories (certainly not myths!) but eye-witness reports of actual supernatural facts and miraculous events. It was this loss of the mythic imagination which motivated the conviction that would eventually set the stage for theism’s disproof by science. We could have gone the route of seeing through the myths as metaphorical representations of reality, and as mythopoetic (rather than scientific) constructions of meaning. 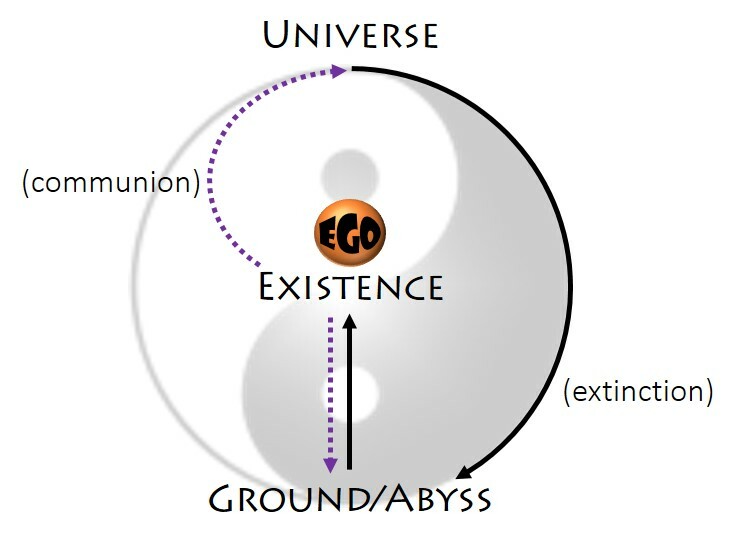 In that case, theism might have taken the role of orienting human consciousness in reality, providing mystical grounding and moral guidance in the formation of identity, and then assisted the further transformation of consciousness by facilitating its liberation from ego in a transpersonal re-orientation to life within the turning unity of all things. The pernicious divisions of soul and body, self and other, human and nature would have been transcended and healed, lifting us into a conscious experience of community, wholeness, fulfillment, and wellbeing. But things went in a different direction. 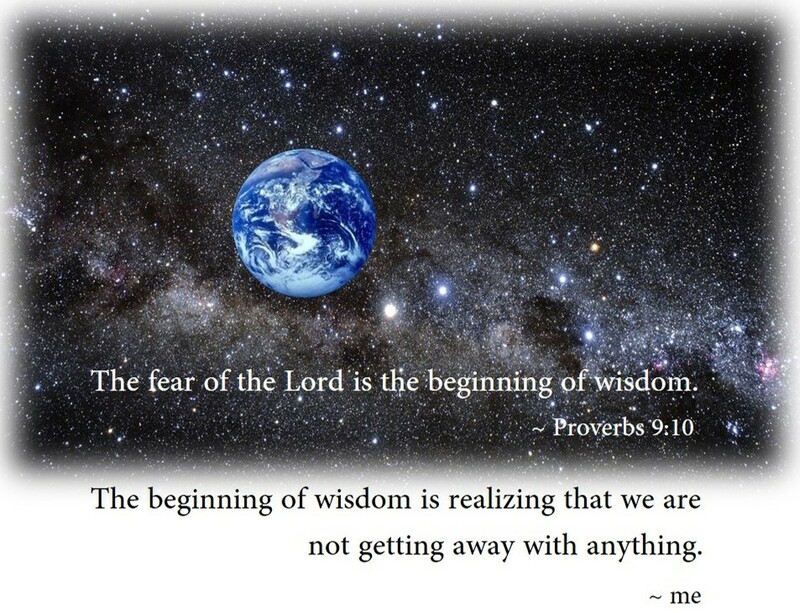 Now, on the other side of our sacred stories (seeing through them rather than seeing by them) and taking up our lives after god (post-theism), we still have an opportunity to embrace that ancient proverb: The fear of the Lord is the beginning of wisdom. For us, however, it’s not about living under the watchful, provident, and retributive supervision of a god. We can save the kernel of its wisdom and release the husk of theism that protected it for millenniums. It’s not that we should live in such a way that pleases god the father and motivates his blessing in return. The personified character of god in the myths was only the ‘husk’ inside of which the precious insight was honored and kept – the insight that we are not getting away with anything. We are accountable. Our beliefs, values, and actions affect much more than we know, for we belong to a larger living system. What we do locally amplifies in its effects to impact global conditions, which in turn nourish, limit, or undermine our local quality of life. Not only are we not ‘getting away’ from this situation by some escape route to a perfect world (a utopian future or heavenly paradise), the integral intelligence of systemic feedback that is our planet and its cosmic environment will continue to bring back to us the consequences of our daily choices. And as we can see with the effects of industrial pollution and global warming, these consequences are now crossing a critical threshold. What we sow in our inner life (soul) comes out as health or illness in our body. What we do to others (as Jesus pointed out, especially our enemies) comes back on our self. The degree or lack of reverence and care that we demonstrate for the household of nature reflects the dignity we affirm our deny in our own human species. All is one, and we’re all in this together. As the third in my trilogy of posts on Spirituality Basics, this one will move our focus to the question of what the liberated life looks like. 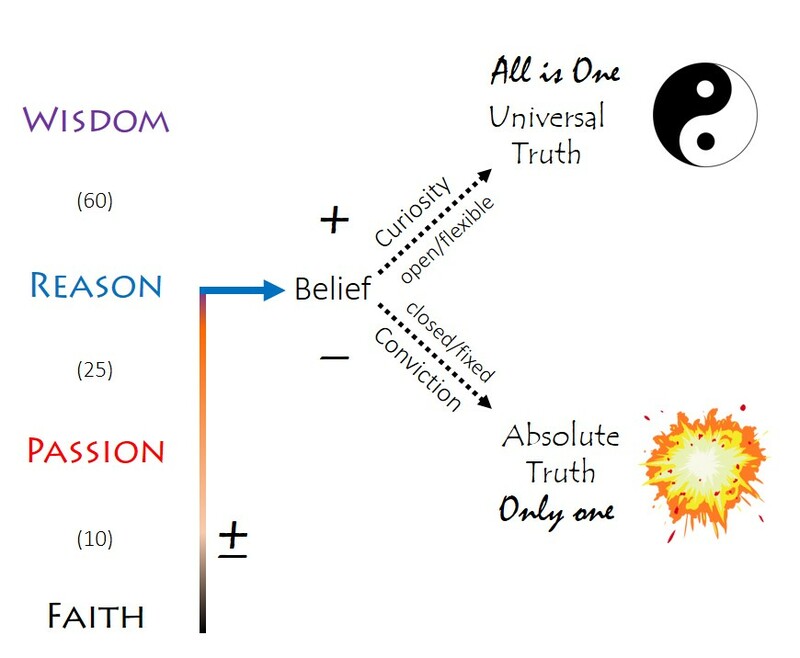 We grappled with the predicament of our human condition as off-center and caught in the delusion of separateness; and then spent some time on salvation as the breakthrough to unity consciousness where this veil of separation falls away and we truly understand that All is One. We are left, then, with the challenge of trying to explain what this all is for: What kind of life is the liberated life? Simply asking the question reveals a working assumption in my understanding of spirituality: that its ultimate value is manifested in our way of life. While the ecstasy of mystic union and the activation of higher consciousness, along with whatever special powers and abilities these might confer, are frequently highlighted as indicators of spiritual awakening, I think this leaves a still more important benefit out of the picture. Not individual exceptionalism, but genuine community among free and creative individuals is where our evolution is leading, and community is a way of life. The liberated life is necessarily a life with others. A solitary or hermitic existence, therefore, would deprive spirituality of its most important challenge – which is not preserving the soul for beatitude in the next life, cultivating esoteric revelations, or even joining an elite spiritual order of like-minded adepts, but rather putting wisdom into practice at home, in the office, and on the streets. We should also extend this notion of community to include other species and the biosphere of Earth itself, since living with the big picture and long view in mind is a strong characteristic of wisdom. 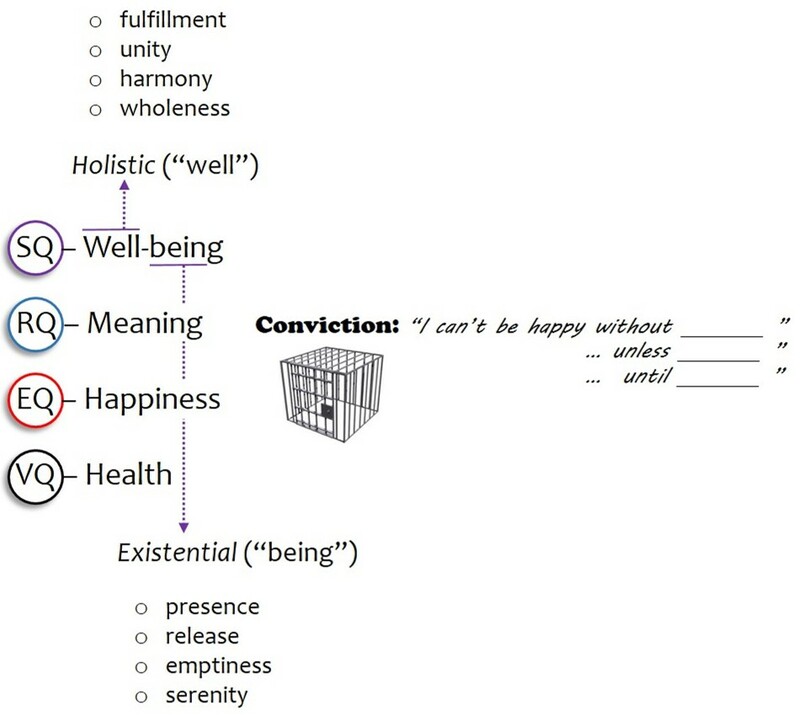 For this post I will use the metric of clarity to help answer the question of what the liberated life entails, and clarity in two distinct senses. My diagram illustrates three differently colored horizontal rows transected by a vertical column, with key terms attached to each. Perspective, passion, and purpose (the rows) represent something of a complete set, and each one exemplifies some measure of clarity, as I’ll explain below. 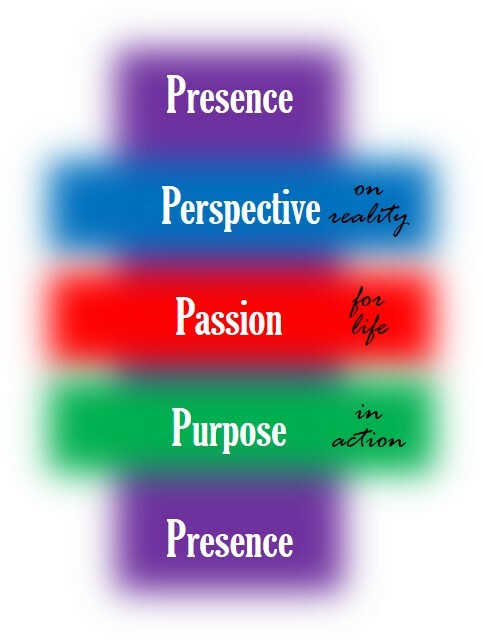 The contribution of presence is to pull these three into alignment (as suggested by the vertical column) and thus provide an overall clarity to the set which I will call ‘superclarity’. It should make sense as we step into it, so off we go. The liberated life holds a perspective on reality that is informed by experience, based on evidence, and as large as the universe. Whereas the insecure ego prior to liberation is compelled to manage a very small frame around what matters – the personal horizon of “me, mine, and ours” (i.e., others like me) – a truly transpersonal perspective on reality excludes nothing from the All-that-is-One. Clarity of perspective (or vision), therefore, can be defined simply as the degree in which our mental picture of things is an accurate representation of the way things really are. Now, right away the point needs to be made that no representation, with even the greatest degree of clarity, is identical to the way things really are. There is an infinite qualitative difference between the present mystery of reality and the mental images, poetic metaphors, or more technical concepts we use to re-present it to ourselves. When we forget, it is like presuming to carry off the river in a bucket. Both popular religion and religious fundamentalism are notorious for this. Whenever we take our perspective on reality from the standpoint of ego, our horizon of interest is just that small. The more neurotically insecure ego is, the smaller this horizon becomes. A second scale of clarity is our passion for life. Passion here refers to a receptive openness to life as well as devotion to what truly matters. Clarity of passion is about having a heart-connection to people, places, and experiences that inspire in us feelings of peace, love, gratitude, and joy. Needless to say, neurotic insecurity prevents such connection because opening to life makes us vulnerable to pain, loss, and grief. But closing ourselves to these also removes us from the happiness and wellbeing we desire. Our passion celebrates both the transient and eternal (timeless) value of being alive. When I speak of purpose in this context, I am not referring to some objective plan or mission that we are expected to fulfill. An external assignment of this sort can be distinguished from what I mean if we name it the purpose of action, or the goal that our action is moving toward. A goal is objective and stands ahead of us in time, somewhere in the near or more distant future, and is something still to be accomplished. The clarity of purpose which I have in mind here, however, is not anchored to something objective, nor can it be objectively measured. Purpose in action refers to the intention by which we live our life – a commitment to living ‘on purpose’, as we say. This doesn’t mean that the liberated life merely drifts along haphazardly from one moment to the next. There are still things to get done and goals to achieve! The difference is that our action is not just a means for reaching a desired (or obligated) end, but is rather the very actualization of intention in each present moment – a sacred end in itself. 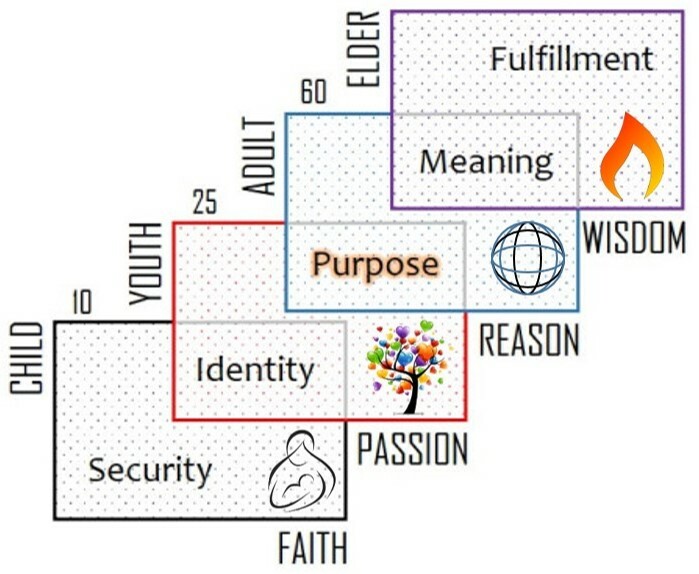 So we have three scales (perspective/vision, passion/devotion, and purpose/intention) with some measure of clarity in each. Even prior to our liberation we might demonstrate a fairly high degree of clarity in one or more of these. As a rule we can expect that highly insecure individuals (neurotically attached and lacking ego strength) will be low in clarity, and likely across all three scales. The more anxious, frustrated, or depressed we become, our clarity plummets accordingly. The liberated life, on the other hand, is one that has been set free from neurotic self-concern. We not only enjoy greater clarity in perspective, passion, and purpose, but we have gained freedom from the delusion of having a separate identity. Because personal identity (ego) is what ties consciousness to the past and future – neither of which is real – this breakthrough to transpersonal awareness is the salvation in becoming fully present. I’m suggesting that we are not more or less present, but fully present or not at all. We are either inside the delusion of separation or consciously present in communion – not somewhat or for the most part. What I call ‘superclarity’ is the conscious state where perspective, passion, and purpose are perfectly aligned in present-moment awareness. This means, of course, that we can be in and out of superclarity numerous times a day, to the extent that we allow our attention to fall hostage to anything unreal: the past, the future, ambitions and enemies. All of these are merely extensions of ego, and ego is nothing more than a construct of our imagination, our pretending to be somebody. At such moments we catch ourselves and come back to reality. The liberated life is a path and not a destination, leading always back and deeper into the here-and-now.